Betz sold the Woodville winery five years ago, and his role as head winemaker is about to end. But he’ll stay on as a consulting winemaker — good news for Washington wine drinkers. WHEN BOB BETZ sold his venerable Woodinville winery, he signed on to remain head winemaker for five years. That contract was up two weeks ago. Fortunately for Betz Family Winery’s legion of fans, he has agreed to remain in a consulting role, and Louis Skinner will become head winemaker. 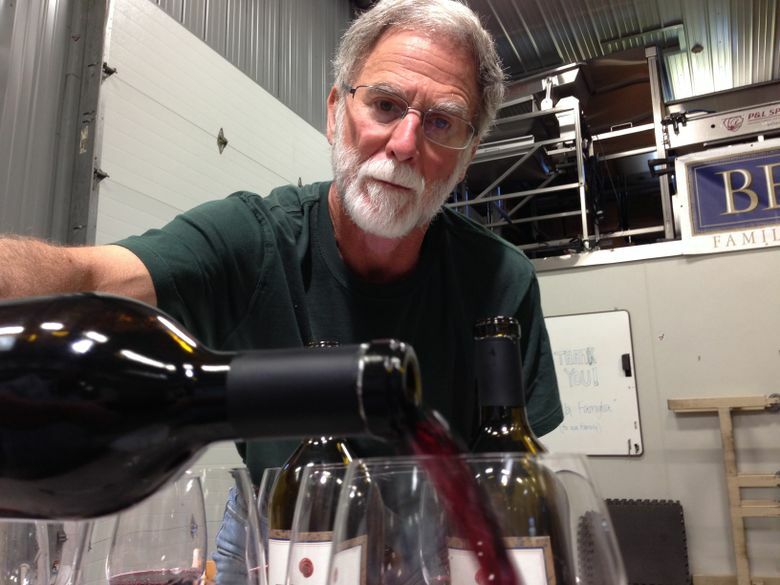 Betz, 67, will continue to perform a role similar to the one he has filled in the past couple of years: He will focus on vineyard strategies, sensory evaluation and blending. Betz Family Winery 2014 Cuvée Frangin, Columbia Valley, $35: This blend of cabernet sauvignon, syrah and counoise is a young and delicious red wine that will primarily be found on restaurant wine lists. It is loaded with pure and refined aromas and flavors of ripe, dark fruit. Betz Family Winery 2014 Reserve du Soleil, Columbia Valley, $85: Leading with the red Rhône grape mourvèdre, this remarkable and soulful blend is unlike anything ever crafted by Betz. It exudes complexity, thanks to notes of sage, scorched earth, plum and caramel. This will be released in September. Betz Family Winery 2014 La Côte Patriarche, Yakima Valley, $58: This marks the 10th vintage for Betz using grapes from Washington’s original syrah vines at Red Willow Vineyard. Elegant notes of plum and dried rose petals are backed by a rich, firm midpalate, and strength and density in the finish. This will be released in September. Betz’s new agreement is open-ended. He will stay at his namesake winery for as long as he and owners Steve and Bridgit Griessel want. Betz’s Washington wine career has been nothing short of magical. He started at Chateau Ste. Michelle in January 1976, and stayed for 28 years. In 1997, he and his wife, Cathy, launched Betz Family Winery, selling it to the Griessels in 2011 with a desire to slowly step away from the heavy lifting that comes with a winery’s day-to-day operations. In 1998, he earned the distinguished Master of Wine degree. And he continues to craft remarkable wines, some of the best anywhere. Last year, his 2012 Le Parrain, a cabernet sauvignon from Red Mountain, earned a near-perfect 99 points from Wine Advocate. A small part of Betz’s motivation to continue is the Griessels’ new Walla Walla Valley vineyard, planted this year. Nearby vineyards already have produced world-class wines, and Betz is naturally curious about what he might get to work with in the next few years. Betz is supremely confident in Skinner, a South Seattle College wine program grad who worked for more than three years at acclaimed DeLille Cellars before arriving at Betz two years ago. With the Betz team staying together and continuing forward, this is good news for Washington wine lovers.